Happy Monday friends! I hope you had an amazing weekend. I kept really busy this weekend and got a lot of use out of my Tote Savvy insert. I've been using it nonstop when we travel and are out for a few hours or more. 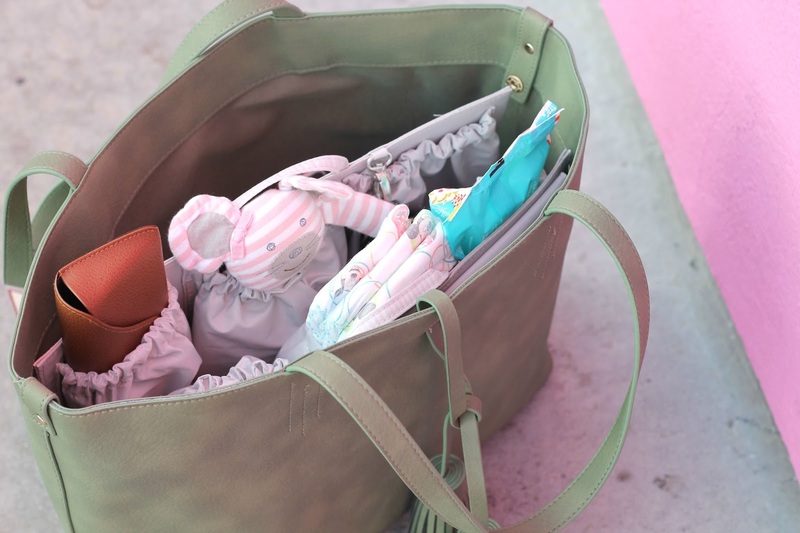 I like it so much more than using a traditional diaper bag because I can change it in and out of my favorite tote bags. They even have a new mini version that can fit in purses. I seriously need it too! I would use it 24-7. They fit so much it is seriously amazing. I can fit Lilly's diapers, wipes, toys, snacks, bottles and even my wallet, keys and sunglasses. If you're a momma or just a person who needs a super organized tote bag, this insert is for you! I also kept up with my trend of dresses this summer. Is anyone surprised?! I didn't think so...but when your dress is super comfortable and under $15 you really can't go wrong. Thank you so much for stopping by! I hope you have an amazing start to your week & don't forget to squeeze your loved ones every chance you get. genius! i use something like that, but on a smaller scale. i'd love to get a tote sized insert. Aren't they so helpful? I feel like without it I lose everything in the bottom on my bags! Oh how lovely from top to toe!!! Share my excitement and love in the 2nd installment of my fabulous collaboration with Los Angeles brand TOBI - I'm sure you'll love it as much as I do!